Unless you and your husband are the two most patient and understanding people on the planet, you will likely need the assistance of a family law attorney to help you negotiate your divorce settlement. (Learn How to Choose a Divorce Attorney.) Fees for divorce attorneys vary, but according to Nolo.com, the average hourly cost of a U.S. family law attorney is $250 an hour. Your ultimate attorney’s bill will depend a great deal on how well you and your spouse are able to work together and compromise to reach a settlement. If it’s possible, try to settle as much through mediation as possible or even commit to a collaborative divorce. (Read more about Divorce Mediation.) Yes, sitting down across the table from your spouse may be very difficult (especially if cheating or abuse were factors in the divorce), but collaboration and mediation can drastically reduce the length of your divorce and limit lawyers’ fees. It can take months or even years to move a divorce through the courts, and your lawyers can bill for every hour they spend in the courtroom, even if they are just waiting for the judge to call your case. Depending on the specific features of your divorce, your personal needs, and/or whether certain issues end up in court, you may need to hire experts to assist you. These experts may include financial advisors to help you plan your post-divorce life, a therapist to help you work through negative emotions, a forensic accountant to unwind tricky assets or search for hidden assets, and more. If your case ends up in court, it is likely that you will need to hire experts to testify on your behalf; just one more reason to embrace mediation and/or collaboration. If you cannot settle your divorce through mediation, you will need to present your case to a judge in court. If your divorce goes to court, your attorney’s billable hours will increase substantially and you will likely have to hire a lot of expensive experts to testify on your behalf. Additionally, you will also have to pay separate court costs, including filing fees for each motion and petition that you file. If you lose your case, you may even be forced to pay your husband’s legal bill! 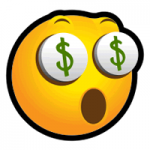 According to Nolo.com, the average cost of divorce for the people they surveyed was $15,500. A contentious divorce, especially if a child custody battle is involved, can easily skyrocket into six figures. Make sure you are prepared for these costs so you don’t start your new, independent life in a huge debt hole! 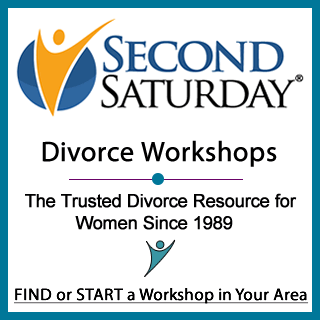 One of the best ways to prepare yourself for divorce is to attend a local Second Saturday Divorce Workshop. Look for the next workshop in your area. We also offer loads of great information in our divorce article archive written just for women!